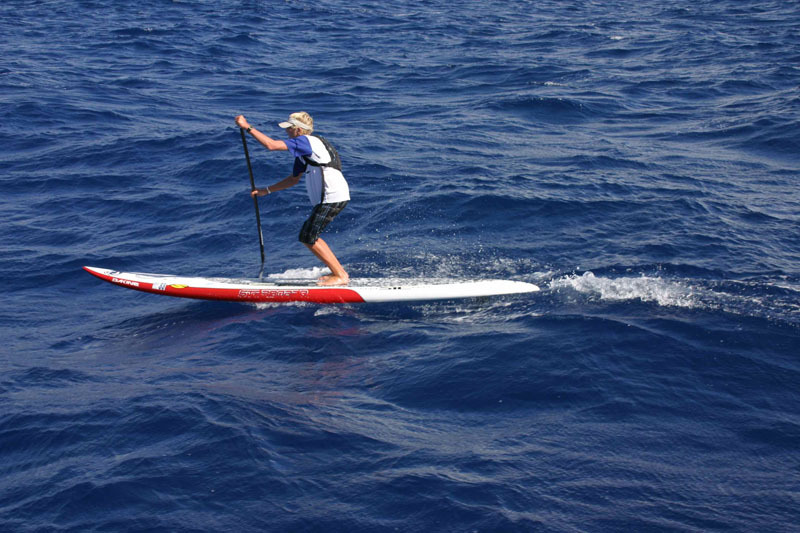 As the fastest growing segment of the paddlesports industry, Stand Up Paddling (SUP) requires the participant to balance on a surfboard-like board while racing downstream over a mix of class II and III rapids. The race begins upstream at Crissy Caughlin Park and continues 3.5 miles to Wingfield Park. I’d like to give a big “THANK YOU!” to the crew in Maui for letting me tag along with them for a couple downwinders. Mark Raaphorst, Randy Strome, Jack Dyson, Livio Menelau, Chris and Donna. Also, thanks to Pono Bill for letting me use his leash. Coming from Oahu, I thought we were spoiled (and we are) with great surf and trade winds. I was blown away by how awesome Maui is for downwinders. May is Skin Cancer Awareness Month. Protect the Skin you’re in. Love the ones you’re with! An Earth Day festival at University of Hawaii kicked off an action packed weekend for the PS team. Mr Sunshine was on site educating the educated on all things sun and suncare. Congratulations to Connor Baxter for winning the Stand Up Solo division at the 2010 Sarento’s/Kai Wa’a Maui to Moloka’i Challenge. Here’s a recap of the race from Connor. Robert from Blue Planet Surf sent me this deal they are running currently. 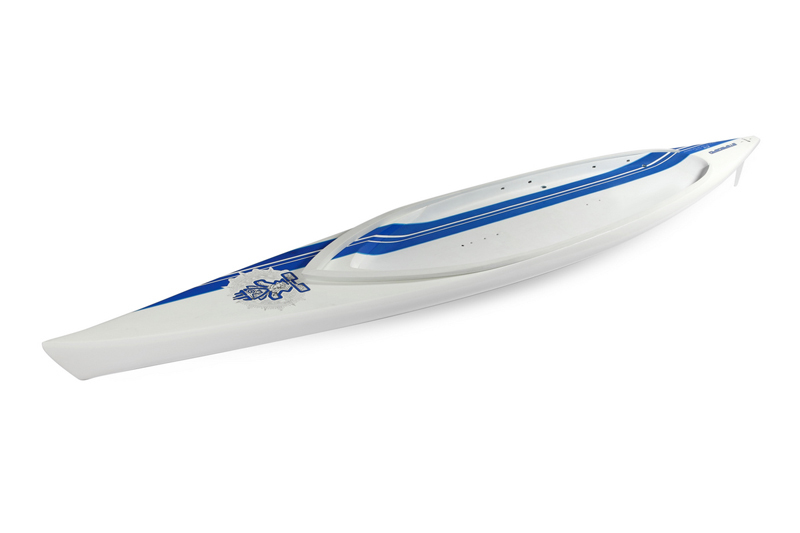 Another board from Starboard’s 2010 racing lineup, the K-15 stand up paddle race board. Here are some photos and info sent to us by Margareta Engstrom, Starboard’s Media Manager. Winner-take-all $1000 purse sure to generate excitement. 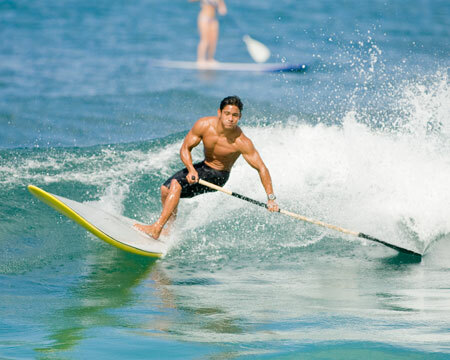 Encinitas, ca (April 7, 2010) – If you’ve ever wanted to try the fastest growing water sport in the world, Standup Paddling (sup), now is your chance. A free, open-to-the-public, flat-water festival known as the Standup Roundup will take place on Sunday May 23, 2010 at Mission Bay’s Bonita Cove. 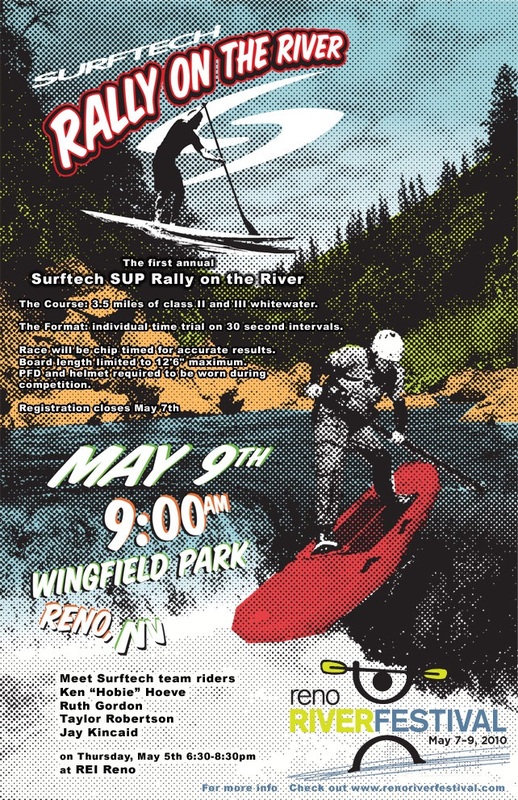 Over 20 of the SUP industries top manufacturers will be on hand, including C4 Waterman, Rusty and Paddle Surf Hawaii offering demos to the public with the latest and greatest SUP boards, paddles and equipment. The King and Queen of Dogpatch will be held Saturday May 8, 2010 at San Onofre State Beach. This is the second year of this raucous and hilarious stand-up paddleboard (SUP) surf contest that directly benefits the San Onofre Foundation. April 7, 2010 (Santa Cruz, CA) – On June 26th the top paddlers in the country will descend upon New Brighton State Beach in Santa Cruz for the 9th annual Surftech Jay Moriarity Memorial Paddleboard Race. The “Jay Race” is Northern California’s most prestigious paddleboard event drawing top paddlers from as far away as Florida and Australia. The annual race is in honor of the late Jay Moriarity who, despite earning world wide notoriety as one of the top big wave riders on the globe, Jay is best remembered for his unwavering positive attitude. 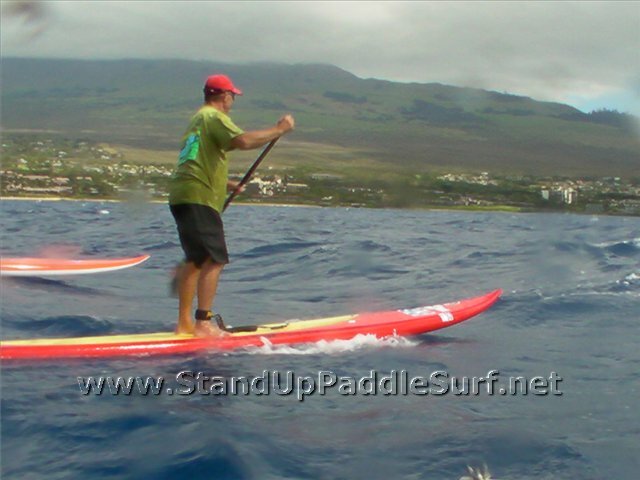 Here’s a short video of a SUP surfing session I had with Jason Kauhane and Lance K at Tonggs. Check out Lance ripping on his 7′2″ Starboard. I got to try it out and it was very challenging. 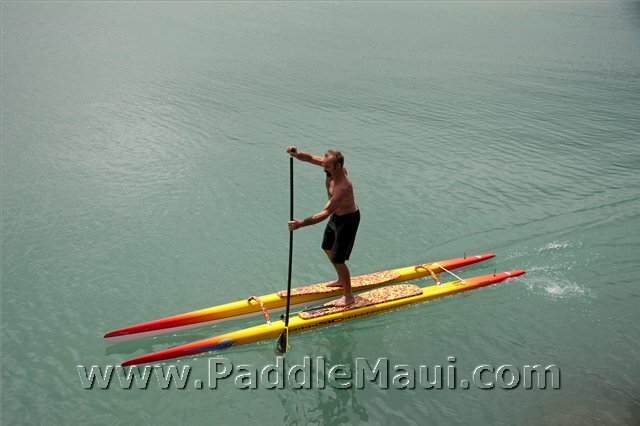 When I tested it I was 210 lbs but surprisingly, I was able to stand on it and paddle around. For a smaller, more agile rider, this board may be just what they’re looking for. Hawaii is hosting the Battle of the Paddle with over $25,000 in prize money. Last year’s event in California was awesome so come and participate. 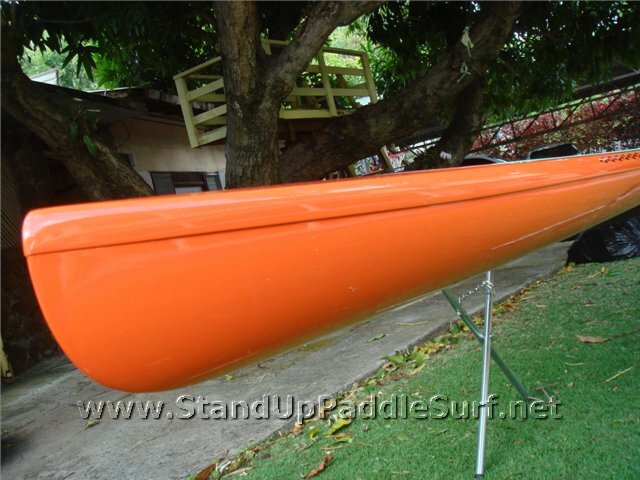 Looks like Mark made some dramatic changes to the S-16 SUP Standamaran. I’m still waiting for an update on how it rides compared to the earlier versions. Looks pretty slick though. 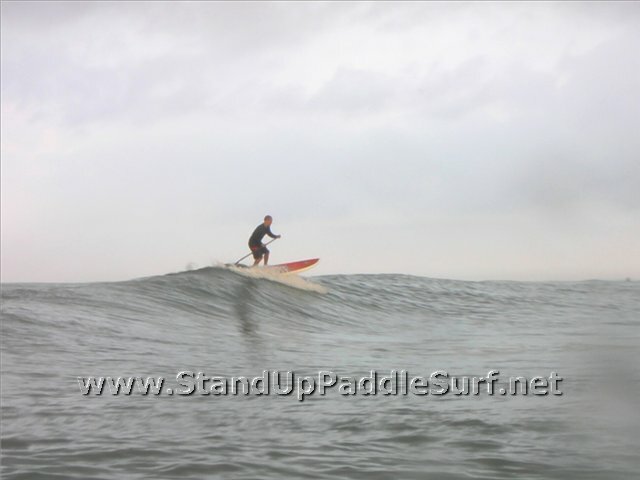 You are currently browsing the Stand Up Paddle Surfing in Hawaii - StandUpPaddleSurf.net weblog archives for the month April, 2010.